Canon is a company that is known worldwide for having outstanding product quality, especially when considering they are known for producing super high quality images. Both Forbes and The Reputation Institute rank Canon 4th on the top 100 list for all fortune 500 companies based on consumer reports and reviews. At YoYoInk we make sure to follow these same high standards as the Canon OEM does to ensure our Remanufactured Canon PG-245 XL / CL-256 XL Printer Ink Cartridges match the same super high quality image standards at an affordable price. To learn more about the difference between OEM and remanufactured printer ink cartridges check out our previous blog. Here we will be discussing the Remanufactured Canon PG-245 XL / CL-256 XL Printer Ink Cartridges for the Canon Pixma iP Series and the Canon Pixma MX Series printers. The remanufactured canon pg-245 xl / cl-256 xl printer ink cartridges is a combo pack that YoYoInk offers for your convenience. 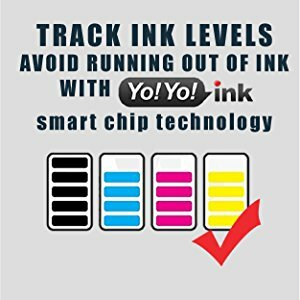 At YoYoInk, we test all of our remanufactured ink cartridges to ensure we are providing you the customer with a product that you are truly happy to use for all your personal and business projects. You can be sure that whenever you use the remanufactured canon pg-245 xl / cl-256 xl printer ink cartridges, your prints are of the highest quality and most importantly all those tables and graphics you worked so hard on will really stand out. The benefits of buying your next remanufactured Canon pg-245 xl / cl-256 xl for the Pixma printers from YoYoInk goes beyond the discounted price compared to OEM prices. Whenever you purchase a remanufactured printer ink cartridge you are doing your part to help save the planet. To Learn more about how you to can do your part to help protect our environment check out our previous blog on how we help protect the environment. The remanufactured canon pg-245 xl / cl-256 xl printer ink cartridge are made to be reliable with a chip to keep track of ink levels. At YoYoInk, we are so confident in the high quality products we provide for our customers, that we back all of our remanufactured and compatible printer ink cartridges with a 2 year, 100% customer satisfaction, money back guarantee. 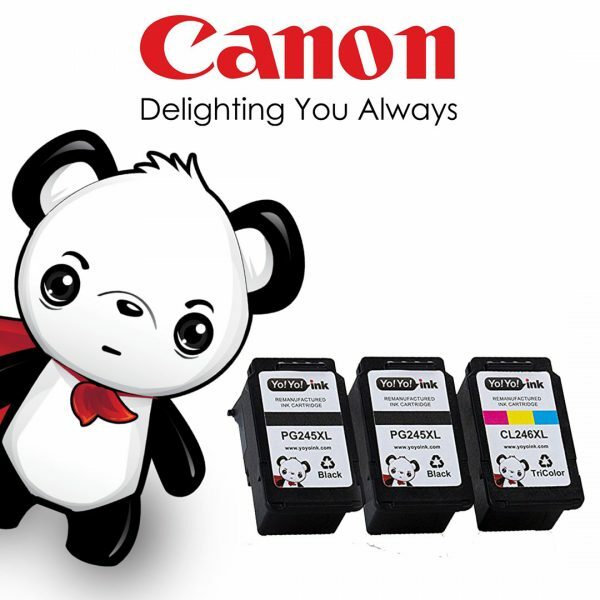 Check out YoYoInk the next time you’re looking for your Canon Pixma series replacement ink cartridges. YoYoInk Membership ! Become a Member Today!